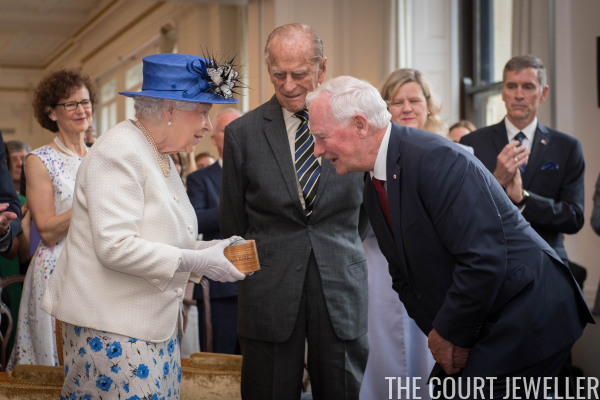 The outgoing Governor General of Canada, David Johnston, presented the Queen with a special Sapphire Jubilee gift in July: the Sapphire Jubilee Snowflake Brooch, which marks the monarch's 65 years on the throne. 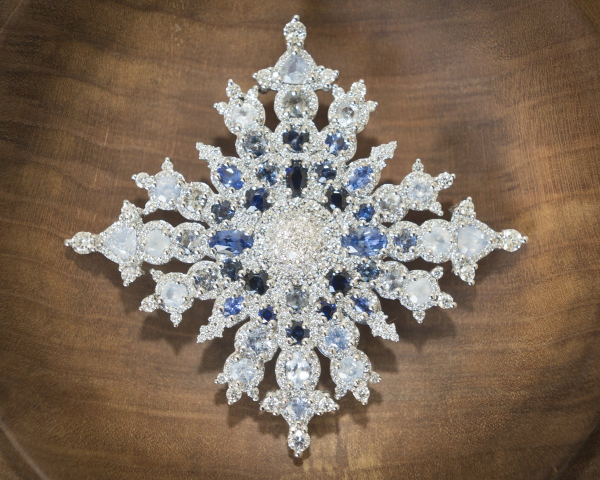 The new brooch was made with a cache of Canadian sapphires found in 2002 on Baffin Island by a pair of brothers, Seemeega and Nowdluk Aqpik. The piece, which was made by the Saskatchewan jewelry firm Hillberg and Berk, was designed as a companion to the Maple Leaf Brooch. 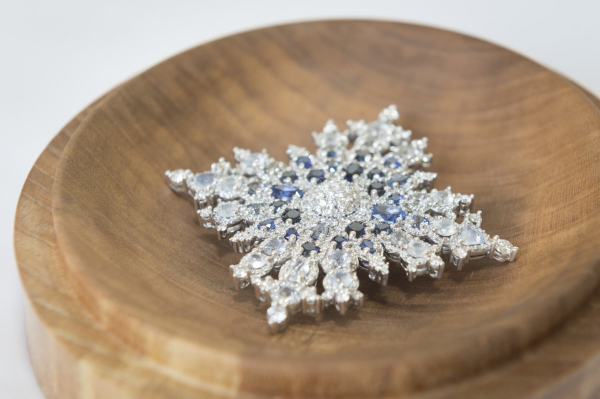 Many have noted that the shape of the brooch means that it isn't exactly a snowflake, because snowflakes feature six-fold symmetry, but the piece definitely echoes the snowy, frosty landscape of Canada.